Identifying events in real-time data streams such as Twitter is crucial for many occupations to make timely, actionable decisions. It is however extremely challenging because of the subtle difference between “events” and trending topics, the definitive rarity of these events, and the complexity of modern Internet’s text data. 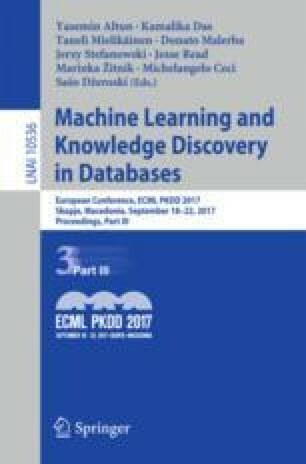 Existing approaches often utilize topic modeling technique and keywords frequency to detect events on Twitter, which have three main limitations: (1) supervised and semi-supervised methods run the risk of missing important, breaking news events; (2) existing topic/event detection models are base on words, while the correlations among phrases are ignored; (3) many previous methods identify trending topics as events. To address these limitations, we propose the model, PhraseNet, an algorithm to detect and summarize events from tweets. To begin, all topics are defined as a clustering of high-frequency phrases extracted from text. All trending topics are then identified based on temporal spikes of the phrase cluster frequencies. PhraseNet thus filters out high-confidence events from other trending topics using number of peaks and variance of peak intensity. We evaluate PhraseNet on a three month duration of Twitter data and show the both the efficiency and the effectiveness of our approach. The work is partially supported by NIH U01HG008488, NIH R01GM115833, NIH U54GM114833, and NSF IIS-1313606. We thank the anonymous reviewers for their careful reading and insightful comments on our manuscript.